The substances characterized as SVHC are identified by the competent authorities of Member States and by ECHA (European Chemicals Agency). Then, they need to be assessed by the health authorities of Member States (ANSES in France), as part of the CoRAP (Community Rolling Action Plan, which takes into account all the substances applying to the authorization procedure). A thorough evaluation requires at least 18 months. Then, the substance can be added to Annex XIV (substances subject to authorization) of the REACH Regulation. 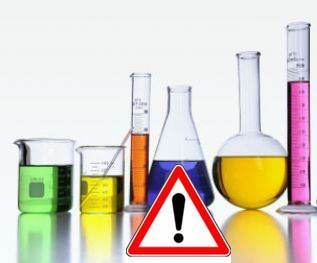 • Substances for which scientific evidence of serious and likely effects on human health or the environment raise the same level of concerns as CMRs and PBTs: for example, this category would include endocrine disruptors. The substances listed in Annex XIV cannot be placed on the market as long as their use is not authorized. The authorizations are issued by the European Commission and can be subject to a re-examination. The revision period is set out on a case-by-case basis and mainly depends on the quality of the authorization application dossier. Today, it is estimated that there are potentially 1,500 substances of very high concern. In the long run, the objective is to ban those that are actually so from the European market.